April 17, 2019 at 9:16 pm. What could be more fun than spending Easter bank holiday weekend or an entire week in an enchanting castle on the bonnie banks of Loch Ness? Add to that your favourite people, the spectacular scenery of the ancient Scottish Highlands and a large supply of chocolate. No, we can’t think of anything better, either. More and more people are booking an experiential holiday to celebrate special occasions such as Easter. Why not join them and take over a Scottish Highlands Castle as your own home over the Easter holidays. And make some new family memories to treasure along the way. 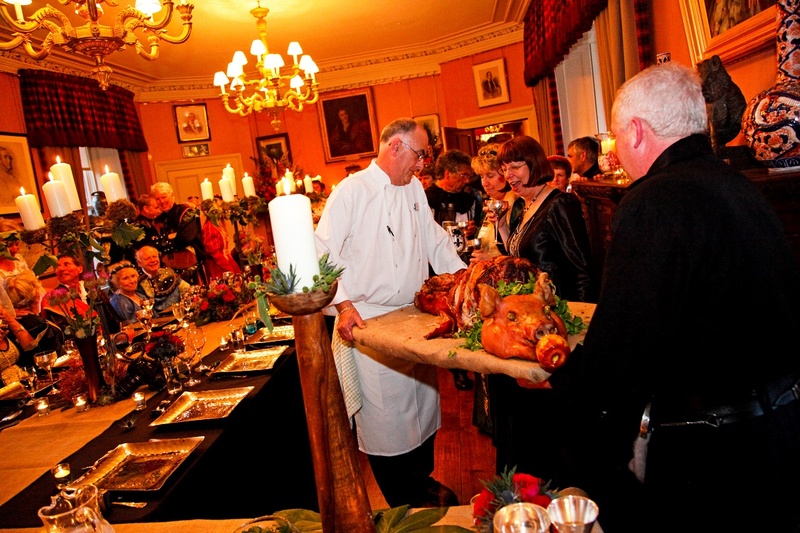 Aldourie Castle Estate welcomes private groups of guests at any time of the year. In fact, Aldourie was designed for house parties ever since its early days as a mansion house. 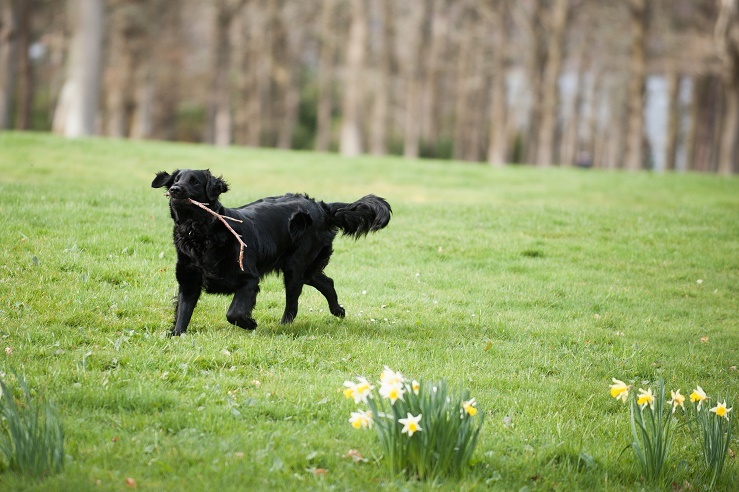 We can just imagine the family clans battling it out across the parkland, for the annual Easter egg hunt each April. 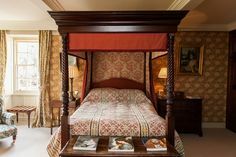 The 13 castle bedrooms laid out across two main floors and the occasional turret, are individually themed, freeing and relaxing spaces. Each room is accompanied by a private bathroom just as colourful, comfortable and characterful. Guests retain their personal space and privacy whilst being able to enjoy the social benefits of an exclusive use group stay. 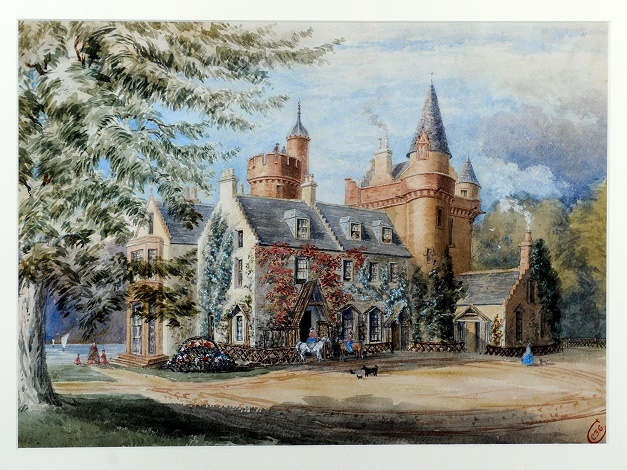 Aldourie Castle was the Highland property to ‘be seen’ at in its day and now enjoys being available only to private bookings from two to 30 people. Guests return year on year to celebrate events and annual occasions such as Easter. The Scottish Castle set in its own vast and varied grounds. 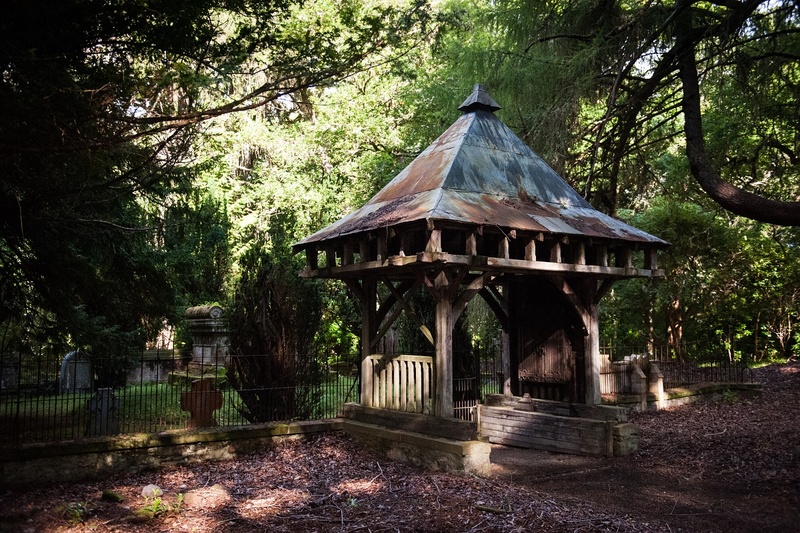 It’s the perfect Easter adventure playground for children and explorers young or old. There’s only so much partying and children’s scampering these old Castle floors can take, however, without needing a little renovation. 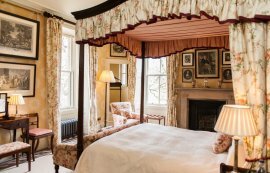 The public rooms and some bedrooms have recently been revamped making this enchanting Castle even more tempting to private group bookings searching for a unique historic property. Easter is a time for celebration, delicious food and enjoying small luxuries with loved ones. 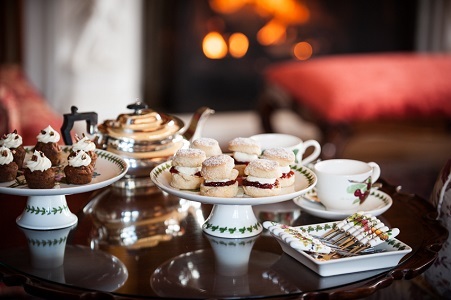 Intimate family gatherings just happen to be a speciality of Aldourie with its atmospheric entertaining spaces and beautiful, characterised bedrooms ideal for hosting Easter parties. One of the most popular celebratory holidays nowadays comes in the form of the multigenerational stay. This means families made up of babies, great-grandparents and everyone in between travels either en-masse or separately to meet at a chosen destination property. This special place has to feature something for everybody (we will feature more on this type of stay in a later blog post). 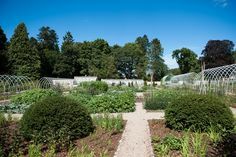 Aldourie, of course, has it all: gardens for admiring, grounds for exploring, Loch Ness for cruising or boating. And inside; a games room, library, drawing room, dining rooms, oratory, and a great hall for a big, warm welcome. 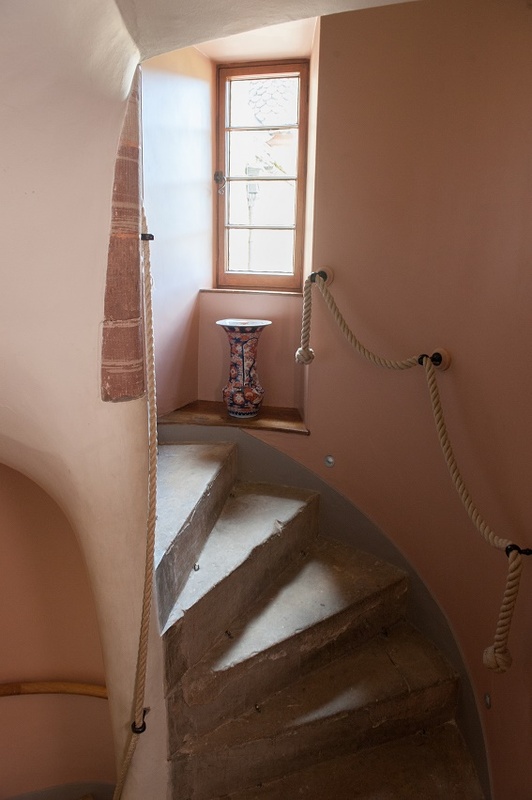 Upstairs, you’ll find a treasure trove of hallways with windows or doors off either side, turrets, winding staircases leading to more doors or balconies. Children can explore the Castle at their will and never tire of their adventures here. 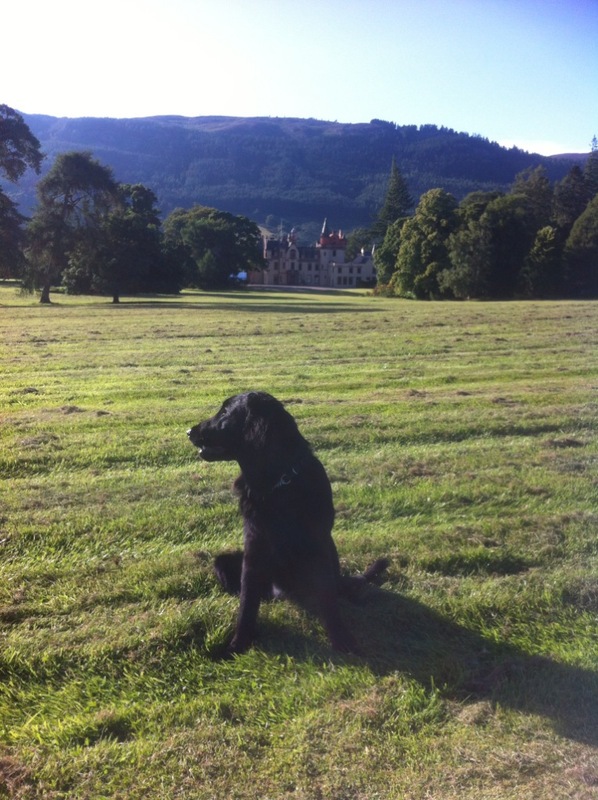 Aldourie is at the heart of any stay at the Castle. Many overseas guests return annually just to experience the warmth of this unique home from home. We love to get the children round the big feasting table in the main hall for some creative arts and crafts. Easter holidays provides some great examples including Easter egg painting and hat making. Let us help you hide the children’s chocolate eggs for Easter morning complete with a treasure hunt map and clues. 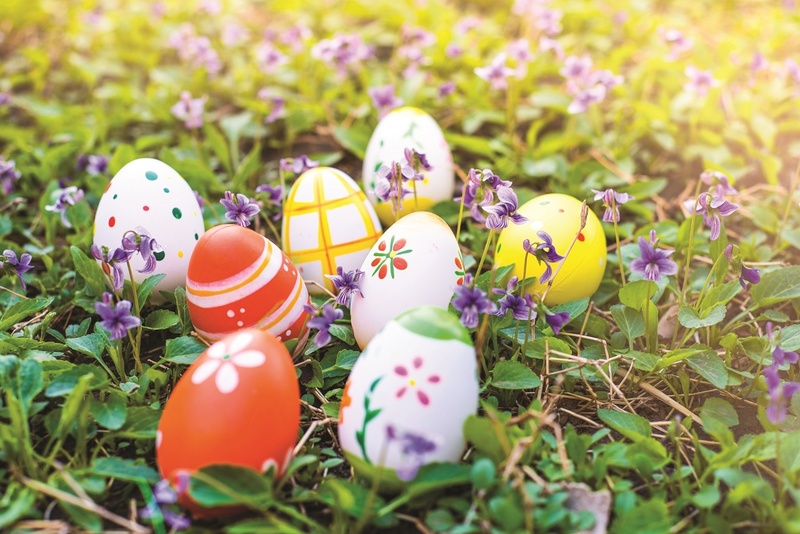 Later, help Aldourie Castle’s chef dress the tastiest Easter cake or buns, have a member of your party dress up as the Easter Bunny and burn off some energy out on the lawn with an egg and spoon race for all. 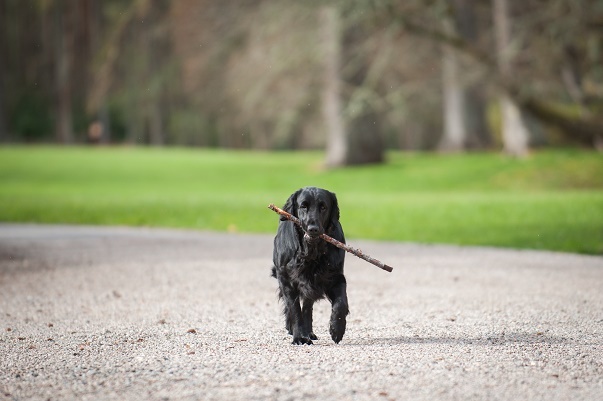 Easter time at Aldourie promises a luxury Easter holiday like no other with family or friends. Further out on the Estate is exclusively yours too; Aldourie can organise a boat ride on the world famous Loch Ness. Board from the private marina and search the waters for Nessie. Boot up in our welly room selecting your own size of Hunters wellingtons. Split up into groups or go it alone. 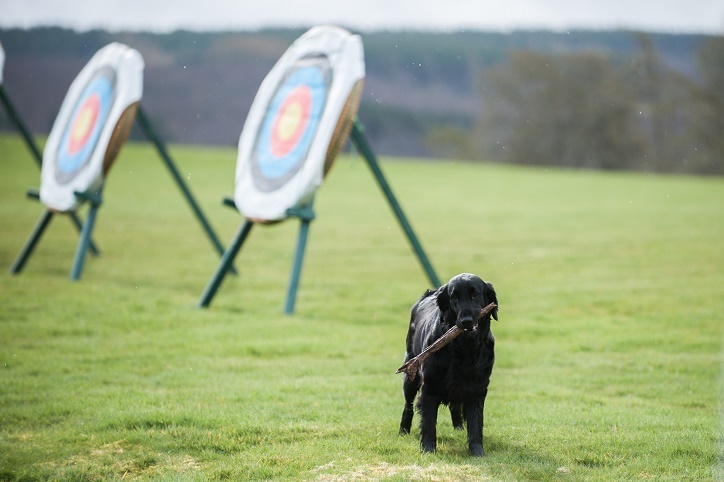 Try some traditional outdoor Highland fun such as archery, clay pigeon shooting or bagpipe lessons. 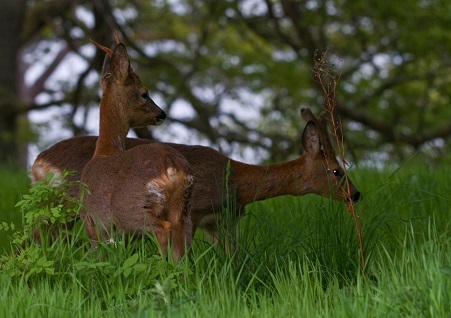 Or explore the Estate by zorbing on Loch Ness or with a Segway ride across the parkland. One Easter paradise combining beauty, warmth and luxury with fresh air and Scottish adventure on its doorstep. To enquire for availability and further information browse our website or contact us here. ﻿A castle or cottage; where would you rather stay? September 6, 2016 at 6:53 pm. 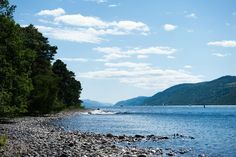 On the southern shores of Loch Ness in the magic setting of the Scottish Highlands there is a place where two of the most different kinds of holidays exist within moments of each other. 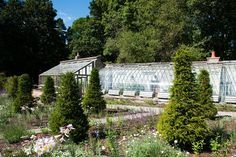 On these beautiful historic grounds sit four characterful holiday cottages with private gardens. But there is also a large and luxurious exclusive use property. From relaxed and cosy short break cottage stays to grand and luxurious family house party holidays, you don’t need to venture far if you wish to sample the other. 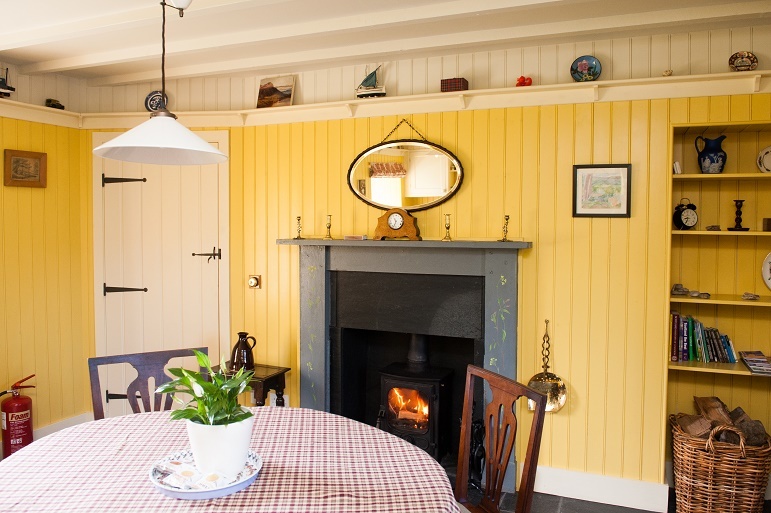 The type of holiday you will experience in a cottage is one of cosiness, simple living and creature comforts. The holiday cottages are laid out with ease of use and practicality in mind. Enjoy spacious, clean lined rooms but on a much smaller scale than the Castle. Each lounge has a comfy sofa, a television, DVD player, coffee table and armchairs. Windows are delicately framed with country style or Highland inspired curtains. When the evenings draw in or a rain cloud forms above, turn on the lamps for ultimate ambiance. Self-catered cottage stays require a bit of forward planning.  You will need to clock where the nearest supermarket is and decide whether you will shop for the week or each day. Note the local pubs and what time they serve food until- just in case you’re caught short or arrive home later than planned from a Scottish Highland attraction or walk. 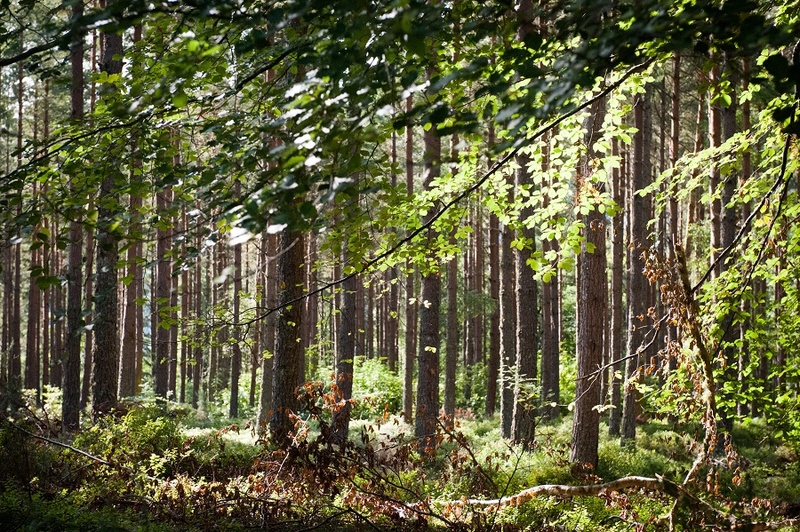 The great outdoors is yours for the taking on the Aldourie Estate. 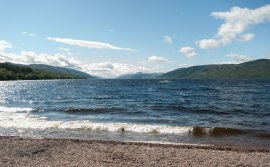 Wander down to the shoreline of Loch Ness for a beach stroll. 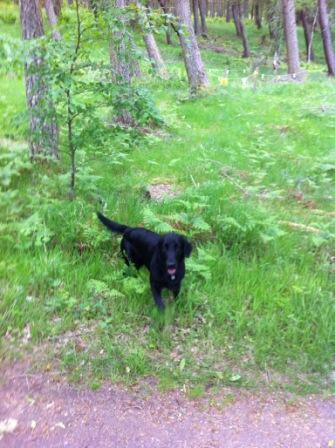 Or head towards the woods for wildlife spotting, dog walking or a gentle jog. 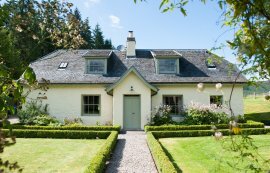 Family cottage stays are great fun at Aldourie. 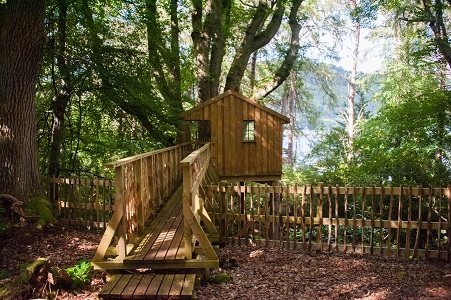 Children can explore the Estate at their leisure from hide and seeking in the woods, swimming or paddling in the Loch to cycling the many trails around the Scottish Estate. It’s perhaps best to loosely plan your week ahead in order to make the most of the stunning Highland scenery and the surrounding attractions. Primae examples include whisky distilleries and historical villages and towns. Back at base, find yourselves having a barbecue in pretty, scenic gardens brimming with the season’s best flowers. Join the growing luxury travel market and book a group stay with friends, a family reunion house party or private celebration in a beautiful Scottish Castle like Aldourie. 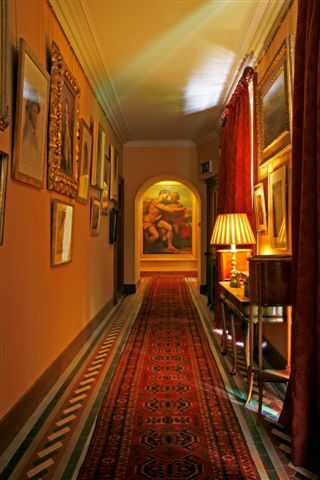 Within moments you’ll be wandering the corridors as if you’ve always lived there. This is because hospitality and a warm, friendly atmosphere is at the heart of any exclusive use stay in Scotland. Expect higher ceilings than a holiday cottage or Highland inn and possibly most modern hotels. Grand entrances, lobbies and wide hallways give you ample room to move and take in the exquisite decorative detail on walls, floors and ceilings. 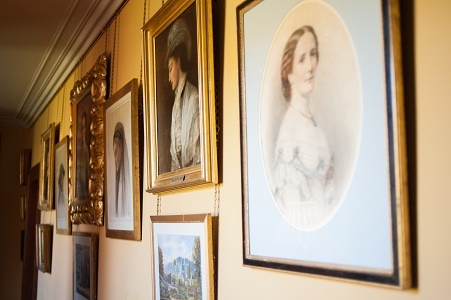 You could easily while away an evening idling from room to room, admiring the many hundreds of portraits and historic references as you go. Exclusive hire properties such as privately let Aldourie Castle provide a catered stay to suit your group’s requirements. An in house chef creates, prepares and cooks all your meals throughout your stay. Aldourie Castle’s chef is careful to choose fresh, seasonal Scottish produce. We aim to top any previous dining experience the private party or individual group booking may have had. The hospitality team at an exclusive use property can organise any activity for your private party, day or night. This is unlike a short break in a Loch Ness cottage where you are responsible for creating your own fun. The surrounding 500 acre Estate combines many elements all of which are available to use and enjoy. 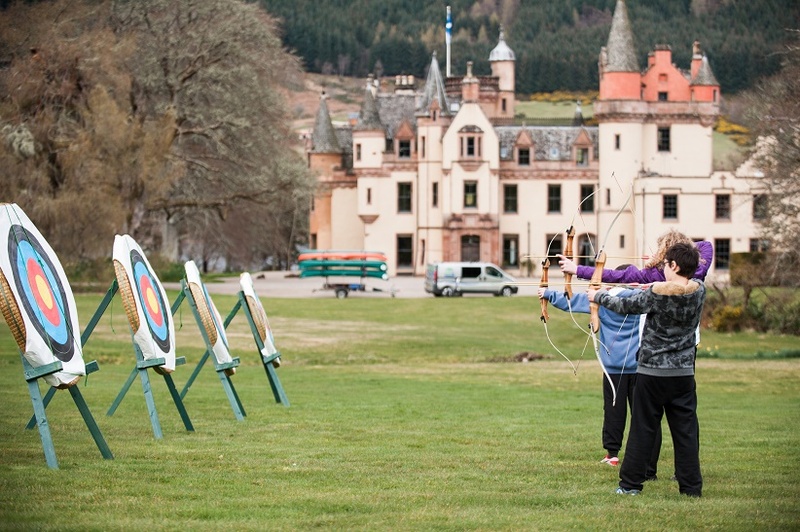 Take a trip to the private marina for a boat ride on Loch Ness or spend an afternoon playing archery in the park. Multi-generational holidays in Scotland can book their own falconry days to experience the very best of Scottish wildlife. So, why lift a finger during a stay in a private hire property when you can concentrate on exploring beautiful rooms or simply relaxing in them. No need to venture out into the wilderness of the Highlands to find a drinking hole. We can arrange wine tasting or whisky tasting ‘back at home’ in the Castle. Perhaps after you’ve taken in the view over Afternoon Tea al fresco on the terrace, which faces the calming loch and majestic hills. NEXT TIME we let you in on a secret – how the Castle and Cottages on Aldourie Estate can work together to bring you the most memorable holiday of a lifetime.